Drum Team Collective is an exciting indoor team building program that puts each participant in the driver's seat of a rock and roll show! Drum Team Collective is a refreshing way to build unity and leadership for your corporate team, organization or private party. 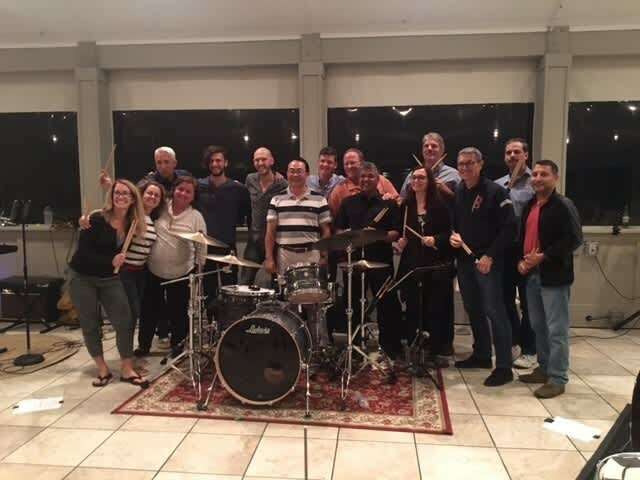 Our program allows your group to experience the exhilarating feeling of drumming with a live rock and roll band while promoting communication and team bonding. 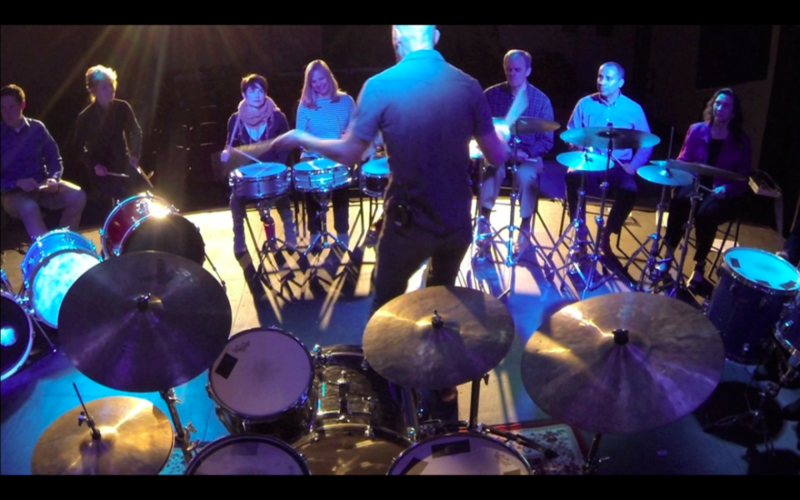 Drum Team Collective is entirely mobile and will come to you for a unique team building experience.